Compared to the tram transport, the trolley transport has been promoted much later. It was initiated on February 14th 1941, with the opening of the very first trolley line from Gornobanski Pat to Gorna Banya. That line was 3.3 km articulated and has been served only by two trolleys. 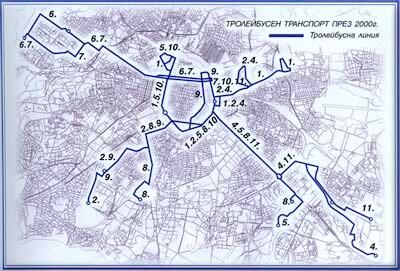 The operation of the trolley transport until the end of World War 2 was impeded by different reasons: the main reason was the war itself: during the war it was impossible to import spare parts and new coaches needed for the development of the trolley transport services and the electrical network. The newly opened trolley line did not change until 1947, when the trolley transport began developing very fast. As a start ten MTB-82 trolleys were delivered from the former USSR. On 1st of January 1952 a newly constructed depot at Stochna Gara depot was opened. That depot had capacity of 60 cars. 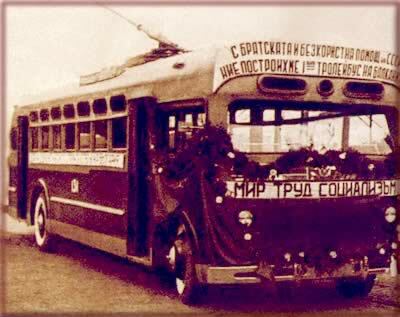 In 1951 the production of Bulgarian TB-51 trolley was established. In 1961 Nadejda depot with capacity of 100 trolleys was put into operation. 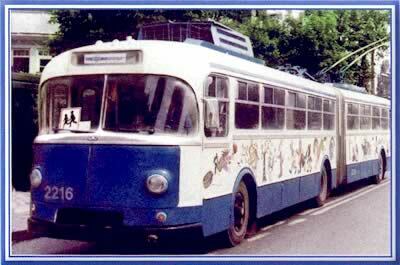 Since 1964 Czech Skoda-9Tr trolleys with contactor control have been delivered. In 1986 12 articulated MAN articulated trolleys were purchased. 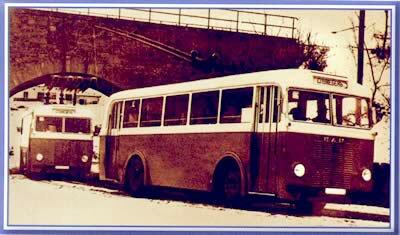 In the following years all the trolley depots were supplied only by Czech Skoda-9Tr trolley with thyristor control. From 1980 up to 1989 the following types of trolley have been imported: - 20 new single cars Skoda-14 Tr with pulse thyristor converters - 1980; - 18 second-hand Graf & Shtif cars with contactor control in 1985. 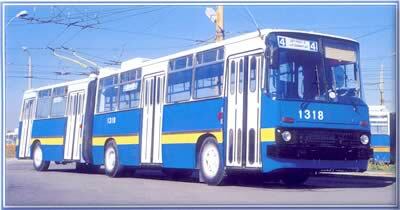 In 1987 25 DAK-Chavdar trolleys had been assembled in the "Chavdar" Botevgrad factory. The chassis of those trolleys were manufactured in Romania on the base of the B 1420 trolleys; the electronic impulse thyristor control systems were manufactured in Bulgaria. From 1985 to 1988 151 new articulated cars of the type Ikarus 280T with impulse control systems have been delivered; 70 ZiU 682 trolleys with contactor control system have also been delivered during that period. Since the existing Nadejda depot was running out of capacity, in 1987 a new Iskar depot with a capacity of 130 trolleys was built; in 1994 Levski trolleys station with a capacity of 60 trolleys was put into operation. In 1994 the TRAMCAR company assembled the TK-130 trolley with electronic contactor control; that trolley was put into operation in 1997.